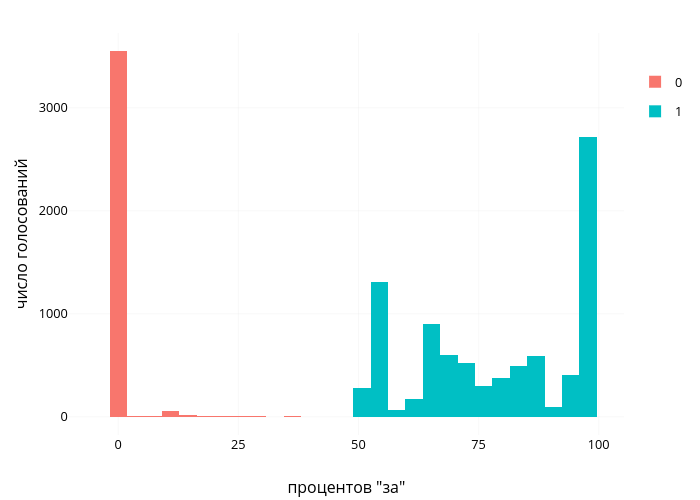 Smarcel's interactive graph and data of "число голосований vs процентов "за"" is a stacked bar chart, showing 0 vs 1; with процентов "за" in the x-axis and число голосований in the y-axis.. The x-axis shows values from -10.25 to 105.25. The y-axis shows values from -177.45 to 3726.45.